Win free tickets to Grietfest this Saturday!!!! Grietfest this Saturday is going to be totally awesome! Read all about it over here: Olmeca Edicion Black Presents: GRIETFEST! Tag yourself with your favourite DJ in the Olmeca Elecrtonic Party Album and you and a friend could win backstage passes, a T-shirt featuring your favourite DJ and an Olmeca Zip tracksuit top. 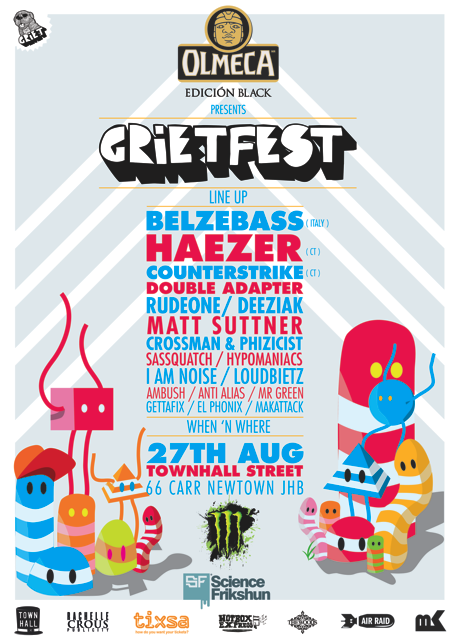 Click on the Facebook tab below to ‘Like’ and Register and have a say in who will win the battle of the DJ’s at Grietfest 2011. Winners will be decided on Friday 26th August.